Is Barbie the wife worth a thousand votes? KYADDONDO. It’s Election Day for Kyaddondo East constituents. 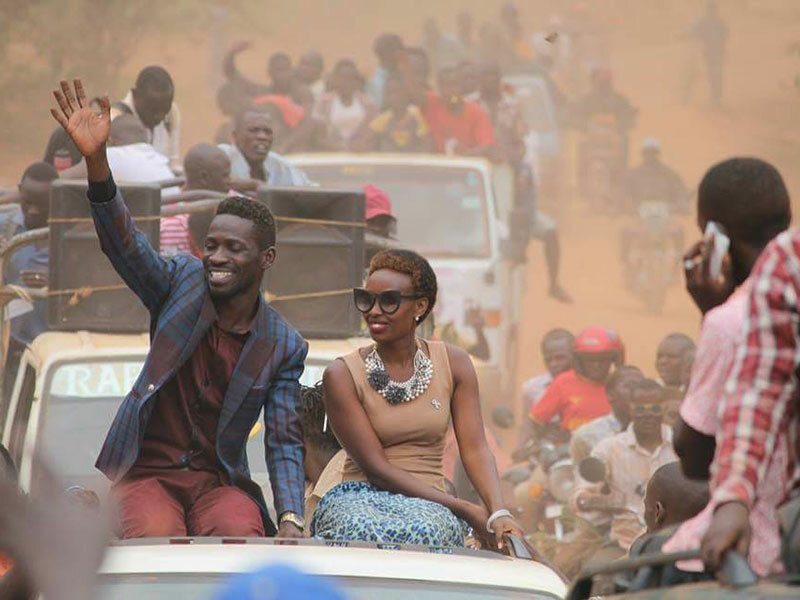 Robert Kyagulanyi turned up to vote in Magere with his better half Barbara Itungo by his side. The Kyaddondo East electioneering has left no doubt that Barbie as she is better known is the best choice Bobi Wine could ever have made for a wife. For a man who declared himself the ‘Ghetto President,’ it was only necessary that his better half is a woman who can get dirty like everyone else, a woman who can stand tall in the crowd and shout words, a woman who knows what ghetto life is like and can live with it regardless of her social stature… and Barbie appears to have it all. The by-election came at the dry end of the weather season when dust reigns like God’s wrath. Many a woman with the kind of seated opulence marriage to Bobi Wine accords would have said “to hell with that” and found excuses to stay away and keep their most prized item—the hair—neat and sparkling. Not so for Barbie. Early in the campaigns, an image of Barbie (above) was published on social media campaigning alongside her husband. The two were literally looking like menial labours from a stone quarry returning home at the end of a long day. Just remove the cars and people from the picture and imagine the couple out like that. We imagine if Bobi Wine had married, say Zari, would she have sold her desire to look tidier than a theatre being prepped for a surgery? At PML Daily, our guess is a big no. There would be few out there willing to stake their money on Zari braving the dust and din of electioneering deep in the ghettos in the name of winning over voters. On Tuesday, as Police dragged Bobi Wine from Kasangati Ssaza Ground like village crime preventers arresting a suspected cannibal caught tampering with the village graveyard, Barbie was there. 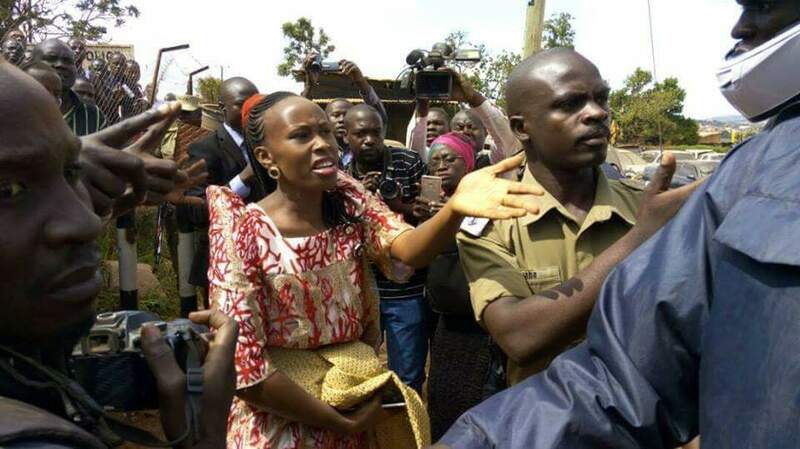 She put up a fight for Bobi Wine. Yes, it is elections and in elections, people seeking votes will just about do anything. Museveni has carried Olubengo and Amama Mbabazi has gone out to play Omweso with folks, Janet has loosened up on her cartoons in the press… a lot happens. 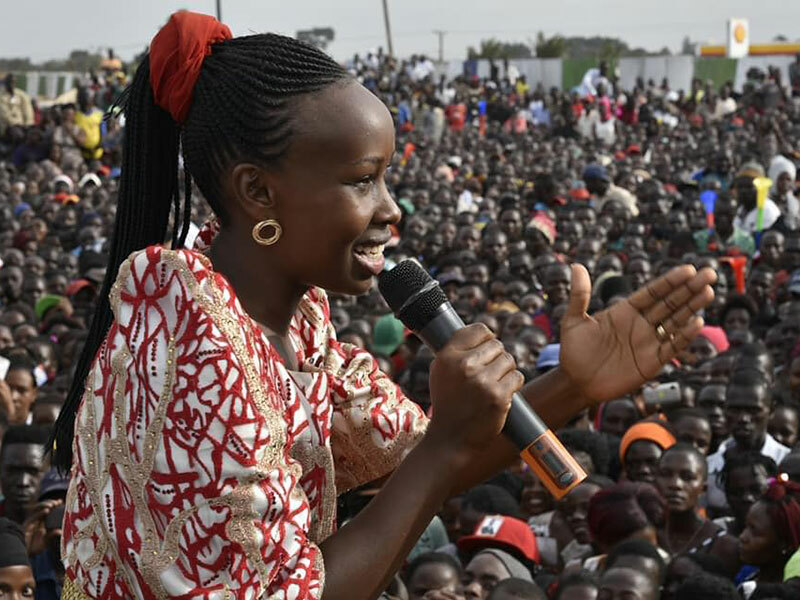 For Barbie, kneeling down on the rostrum to plead with the voters on Bobi Wine’s behalf has been a routine during the electioneering. The ghetto ‘first lady’ has surely played her role. Her weight in Bobi Wine’s campaign has been something one can talk about with much interest knowing that candidates need such women to rally the women voters to their side. If Bobi Wine emerges the victor tonight, you wouldn’t have to look further than Barbie when time for giving credits come.